This pic of Sam from the shoot location of Mahanti proves that she truly is the Queen of T-town. The gorgeous Samantha Akkineni is one of the most sought after names in Telugu cinema today. And, now, there is some terrific news for her fans. 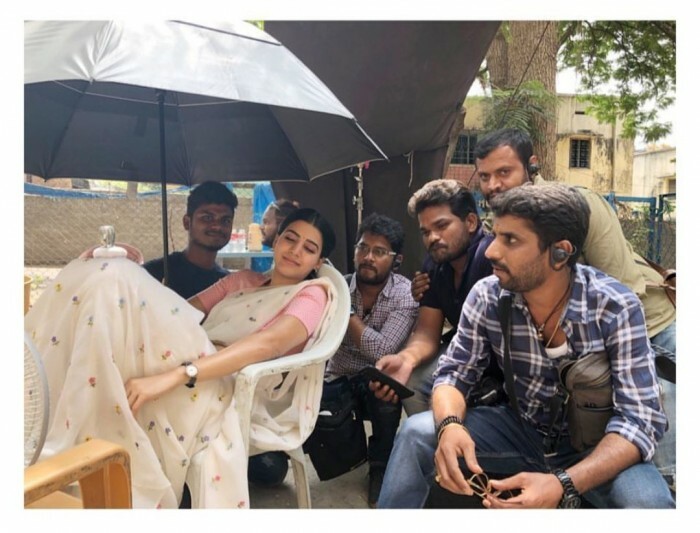 As it so happens, a recent pic of the lovely lady from the shoot location of Mahanati is creating a buzz on the social media for all the right reasons. In it, she can be seen chilling like the queen she is and proving that she truly is the ‘queen bee’ of Tollywood. Needless to say, the cherubic diva is the cynosure of all eyes. That is how you steal the show! In case you did not know, Mahanati is based on the life of yesteryear actor Savitri and has Keerthy Suresh in the titular role. Sam will be playing the role of a journalist in this one and her character is an integral part of the narrative. Mollywood actor Dulquer Salmaan to is a part of Mahanati and will be playing a character modelled on Gemini Ganesan here. A while ago, he had said that he will not look like ‘Kadhal Mannan’ in the film. “I’m not going to look like him. I can’t, honestly, and I don’t want to wear prosthetic. My approach is simple. I would like to be me in the 1950s and play myself if I was a big movie star,” he had told a leading daily. 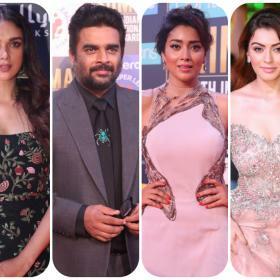 Besides Mahanati, Sam also has Irumbu Thirai and Rangasthalam in her kitty. Irumbu Thirai is an action-thriller and also has Vishal in the lead. At a promotional event, Sam had said that this will be the best film of Vishal’s career. As far as Rangasthalam is concerned, it is a romantic-drama and will see her act opposite Ram Charan for the first time in her career. So, are you excited about Mahanati? Did you like the pic? Comments, please! How can a plastic faced lady take on the role and act like the one and only great actress Savithri such a bad choice , flop in the making ! Hi Samantha – you are back ! why can’t movie stars hold their own umbrellas. God, the servitude! I really don’t know how…. she can barely open her mouth with that disastrous lip surgery. The entire movie Theri she couldn’t open her mouth and I couldn’t bear to watch her. learn how to spell Telugu first. you understood correct, no one has the time for spelling right, we have several comments to write and that silly samantha needs to give us break!